Find out what happens when you give a toy enough love. Margery Williams was born in London in 1881. 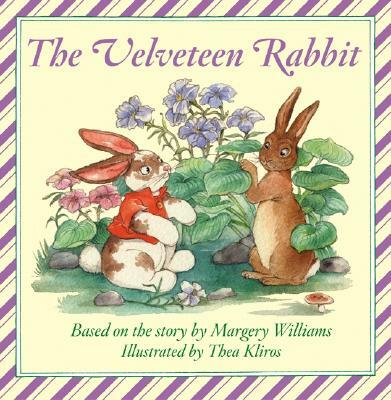 The Velveteen Rabbit was the first, and best known, of her thirty children’s books. Thea Kliros grew up in New York City. She attended Bennington College in Bennington, Vermont, and the Yale School of Design. First a painter and then a graphic artist, she has lived in Spain, Switzerland, and New York City. Her work includes the children's book, Three Little Pigs.